While living in Japan I’ve tried to avoid setting a strict unbending routine. With that in mind, when Kimura sensei, a diminutive woman with a fierce passion for life, invited me out this past weekend for a fresh air frolic to a waterfall in Chiba Prefecture, I said yes. I work with her at Matsuo JHS. We met at the start of my second year during the annual March term shuffle of teachers. One of those wonderful unexpected surprises. Accompanying Kimura sensei and myself on the hike were two of her friends. Before continuing I should mention that Chiba Prefecture has a business relationship with the state of Wisconsin USA. Defining the relationship is the salty business of soy sauce and the factories that make it, of which Wisconsin has many. Additionally, I’ve discovered it includes programs recruiting Wisconsians who wish to teach in Japan. Kimura’s friends are two such recruits who’ve made use of that association. It was from them I finally learned of the relationship’s extensive impact on the region. It did much to clear a growing haze of foreboding clouding my thoughts. One that had me deeply concerned that I’d landed myself in an episode of the twilight zone, titled “Revenge of the Fromagians,” where the only people left in Japan were those of native birth, and those with a profound knowledge of cheese, bordering on eldritch. We, the Canadian and pair of Wisconsians, met Kimura sensei at the train station in the morning. A glorious winter sun brightly lit a cloudless sky, providing the backdrop for a wonderful day. We did not wait long before a smiling Kimura sensei drove up in our ride for the day. Her vehicle defined Japanese engineering, gas efficient enough to run for days on an eye dropper. Small enough to fill me with horror as I speculated that only a cirque du soleil performer could actually fit in it. The ride was surprisingly smooth and spacious. All I had to do was nearly crush the girl sitting behind me. Not in a metropolitan area to begin with, we quickly found ourselves surrounded by pastoral Japan’s elegance. Tiny roads, rice fields, and corridors cut out from the forest, provided space for homes. Ubiquitous towering bamboo surrounding us created the illusion that an infinite forest stretched in all directions. A fascinating element of Japanese architecture is its mix of old and new. Out in the boonies however, ancient styles are unquestionably prevalent. With no signs of modern society other than the road and car, the mind can play tricks on itself. I found myself more than once stopped at a crossroad, stealing surreptitious glances out the window. Worried a charge of mounted samurai lay in wait to overturn the vehicle and slay us for the honour of their Daiymo. The cowards never did attack. Kimura sensei eventually informed us, much to the relief of my crushed friend in the back, that we would make a stop at a mid way point. I recommend that anyone visiting Japan, who finds themselves out in this neck of the bamboo, stop where we did. A place called Awamata Herb Island. Vegetarian paradise. 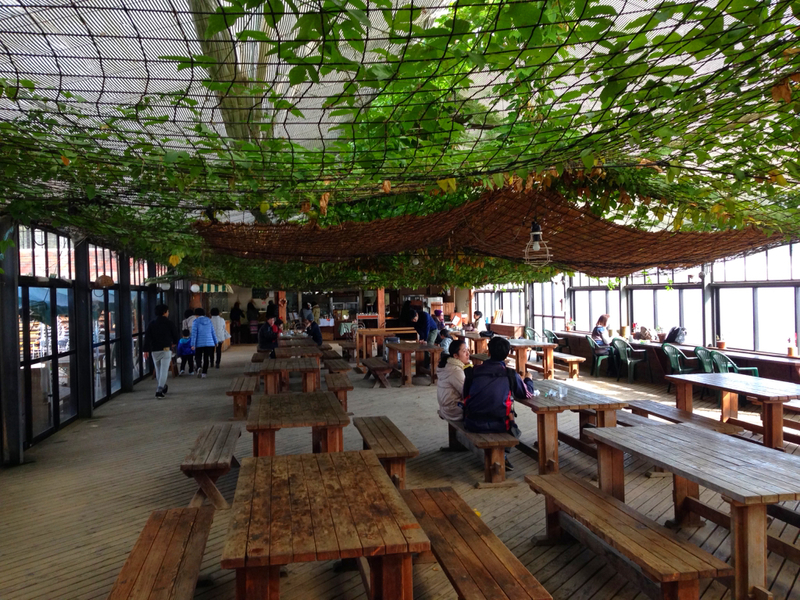 The business has a fantastic concept, green house herb garden with attached restaurant. 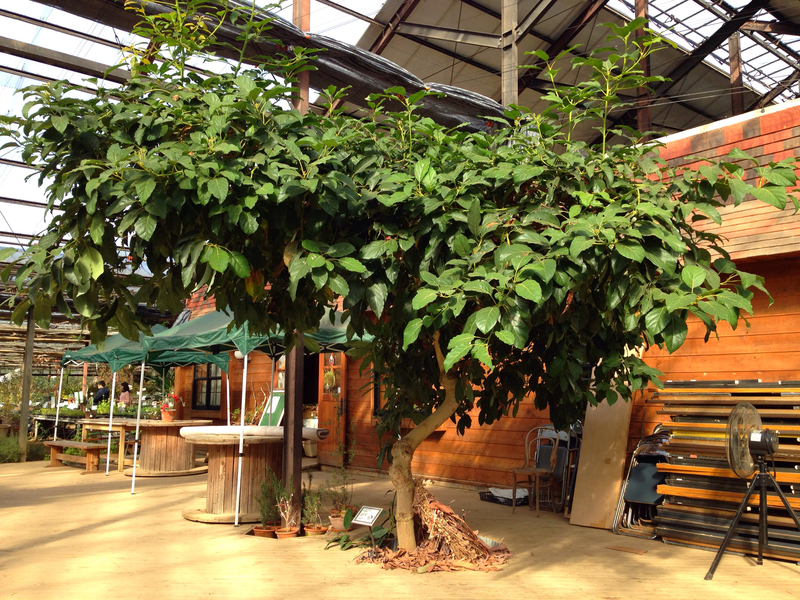 All the food cooked in their kitchen comes from the seasonal produce grown in the greenhouse. I’ve included at the top of this post a picture of an avocado tree found within. Enjoying first a walk through the fragrant rows of plants, we then ordered our food from a cashier and waited for our order to come up in the pass. Picnic style, comfortable sturdy wooden benches provided the seating while we waited. Above us hung a low net ceiling completely grown through with verdant vines. The greenhouse’s proximity foreshadowed the food with its herbaceous smells. I had the basil pasta and tormented the women of our expedition by treating myself to two desserts, woe to those who watch their waist line. If partaking of meals while sitting in an idyllic garden interests you, there exists no finer venue. Concluding our conversation, our plates wiped clean, we set out again. Driving twenty more minutes brought us to a parking lot. A short walk through the countryside awaited us before actually reaching the river trail leading to the waterfall. This, presented another opportunity to experience rural Japanese culture. Stalls dotted the landscape, set up by local farmers who sold seasonal items, from decorative wreaths to enticing simple sweets. Everything tempted me and I would have tried it all if not having eaten so recently. Passing through the farmers fields we reached stairs which descended to a place marking the official start of our hike. Reaching the bottom a concrete lane snaked along the walls of the riverbed, well maintained and populated by others out to bask in the sunshine. Beginning the walk signaled the start of new easy flowing conversation. Time, like the water beside us, passed pleasantly. I punctuated our discussion with stops to snap pictures of our surroundings. Great shots were in abundance. Wherever you looked, frames of natural symmetry vied for the camera lens’s attention. Trees hung over the water and walkway, sparsely graced with vermilion leaves. Stragglers, defiant of Fall, still clung to bony fingered branches bleached white in the mid day sun. A pastel blue sky made a perfect canvas for the sharp colours contrasted against it, yellow, gold, and orange. Even the surface of the water became art, blanketed with the small star shapes of Japanese maple. They have a word for when the wind blows and cherry blossoms fall from trees. I imagine there must be a Winter equivalent for dead leaves, I never asked. With my camera battery exhausted we came to the waterfall. Taking a break at the popular spot, we assisted those needing an extra pair of hands to take a picture. After snapping a group shot of our own, we then started on our way back. Kimura sensei hosted us that night for dinner. We dined on Okonomiyaki, a Japanese style savoury pancake, along with plenty of wine, beer, and sake of course. A treasured memory and one I will not soon forget. I talk about this trip on my YouTube channel DaveTrippin, if you care to check it out. The gallery section of this web-page has more shots of the journey if you wish to see them.